From 63 to 24 to 12 to four to one. After a marathon of musicianship over the last ten days, almost 4,000 minutes of listening intently to every note, closely watching the movement of hands and feet, the eleven-strong international jury of the 10th Dublin International Piano Competition have come to their very difficult decision in choosing the First Prize winner of the 10th Dublin International Piano Competition. Reducing the 63 competitors in the First Round, which started on 15th May, to the 24 who proceeded to the Second Round was difficult enough, and required a re-vote by the jury. Reducing the 24 ‘Second Rounders’ to the twelve Semi-Finalists also required a re-vote. 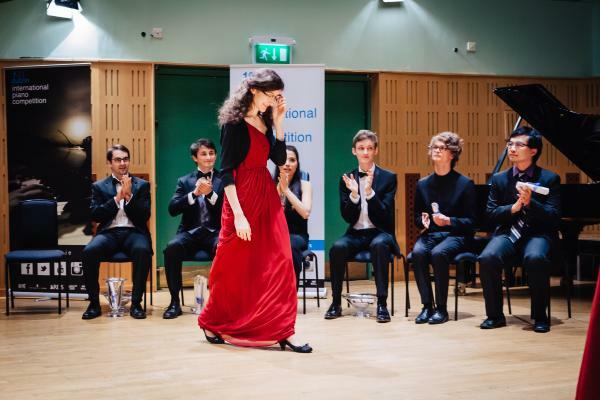 So, while the 59 excellent young musicians who have dazzled over the last ten days in the RDS and the National Concert Hall must move on to their next endeavours, the four finalists dazzled tonight at the National Concert Hall. 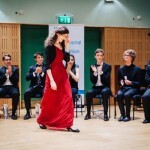 But, there was only one winner, the tenth winner and the first female one: Nathalia Milstein (18) from France. 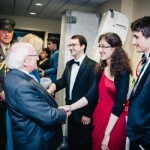 Of the six Irish competitors who took part in this 10th Competition, two made it to the Second Round (Sean Rooney from Newry and Peter Regan from Roscommon), and Sean was voted the highest placed Irish competitor in this DIPC, is awarded the Brennan Prize, which includes a cash prize, as well as several bursaries, debut recitals and other performances. 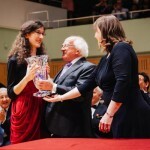 It has been one of the toughest Dublin competitions in terms of musicianship since the first Competition in 1988. When applications to participate were received last October, Artistic Director, John O’Conor, had the mammoth task of reducing the 158 entries to a manageable number to invite. Indeed, from the entries – the most ever – Dr. O’Conor could not whittle down those to be invited to less than 69. 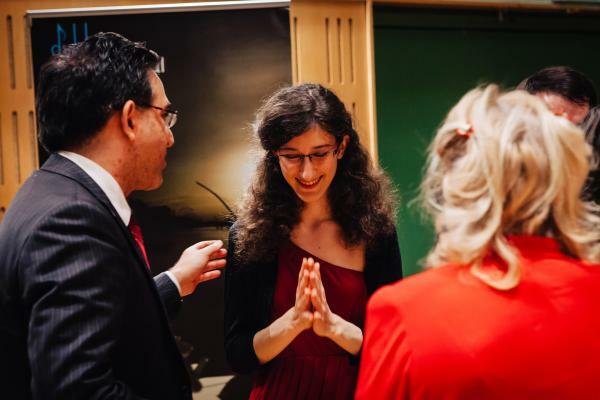 Now, Nathalia Milstein will begin a career catalysed by the number of important debut engagements that come with the first prize: Carnegie Hall in New York, the Wigmore Hall in London, a series of Steinway recitals across Europe. 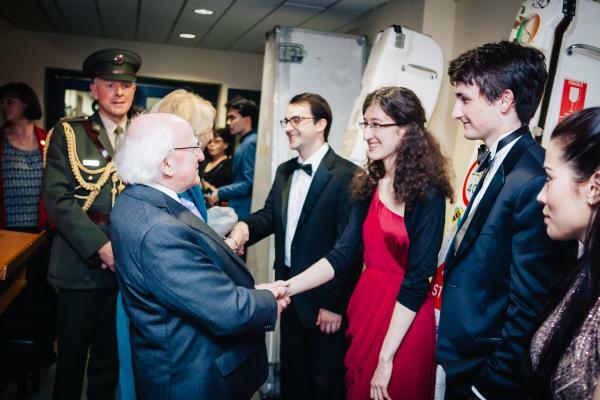 There will of course be the debut recital with the RTE National Symphony Orchestra in Dublin with a CD recording aswell. For now, congratulations to Nathalia Milstein! Our tenth winner and our first female winner! 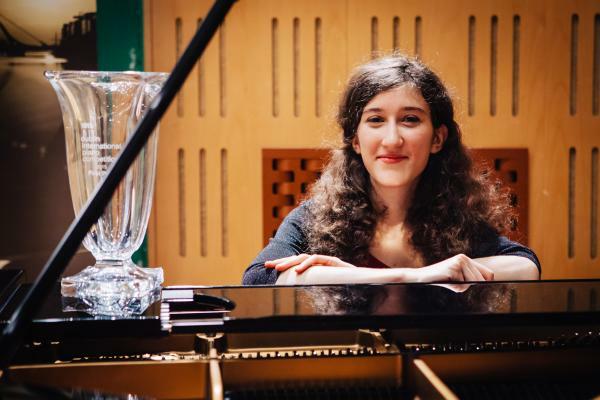 THE first ever female winner of the Dublin International Piano Competition, Nathalia Milstein, is a young talent – only 20 years of age – to watch out for. 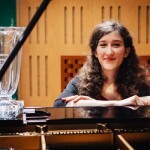 Born in 1995 to a musical family, Nathalia started playing the piano at the age of four with her father Sergei Milstein. She entered the Geneva Conservatory of Music in 2009, where she obtained her diploma with honours in 2012. 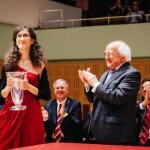 Nathalia is a prizewinner of numerous competitions: in 2008 and 2009 she received the First Prize at the ‘Flame’ Youth Competition. 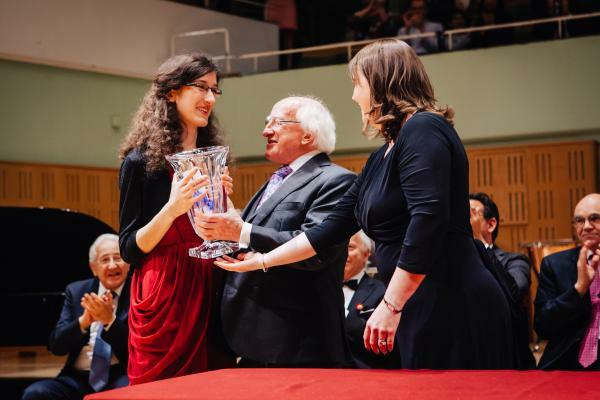 In 2013 she was awarded the Second Prize in the Grand Concours International de Piano in Corbelin (France) and in May 2014, the First Prize in the category ‘Young Pianists’ of the Adilia Aliva Piano Competition in Gaillard, France and, of course, her win in Dublin in May 2015. 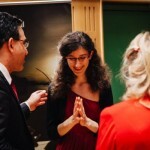 Nathalia gives concerts in France andacross Europe in many fine halls in Paris, Amsterdam, Brussels, Lyon and Geneva. She has also performed for French television and Dutch radio. For several years, she has been playing with her violinist sister, Maria Milstein, as a duo. 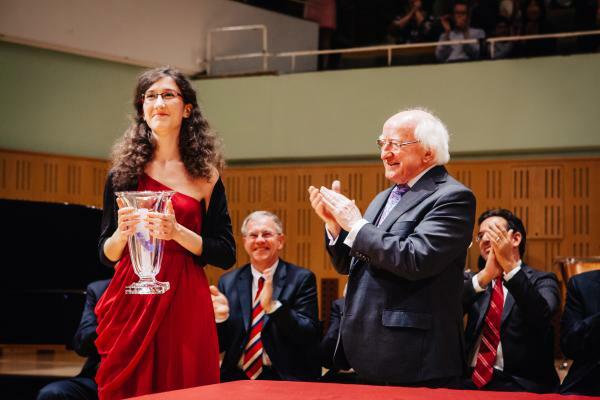 As part of her first prize in the DIPC, Nathalia will give her Dublin debut recital in the NCH on 17th February 2016.
prestigious ‘Steinway Series’ in concert halls across Europe in the coming year. What age did you start playing the piano at? I started playing piano at 4 years old. Who has been the most important musical influence in your life? Probably the most fair would be to say it is my father, who has taught me everything since I began, from piano playing basics to making me understanding music and its interpretation, as he is a concert pianist himself. Difficult to say as I already mentioned my father, but all my family members, all of them musicians, are concerned. I was home-schooled and my only teacher until I was 18 was my father, so basically my family is at the same time my home, my friends, my mentor and my support. Learn as much music as possible, play it, and perform! Coffee, except just before a performance. Any with a beautiful view (in any place of the world). Among others, any of Chekhov’s novels. Among other favourites the French comedy “LaGrande vadrouille”. Best performance (any musical genre) you have ever seen? Your own favourite performance to date?